What will the Roarin’ Forties dish up this year? Rolex sponsors some of the world’s most prestigious sporting endeavors, golf, tennis, yachting, auto racing, and equestrianism among them. Athletes too, with the likes of sports super couple Tiger Woods and Lindsey Vonn, Jack Nicklaus, Jackie Stewart, and Roger Federer. And there are the events. Events like the 24 Hours of Daytona, held at the venue for which Rolex’s iconic chronograph was named. The Formula 1® racing series. The Grand Slam of Show Jumping. The Sydney Hobart Yacht Race. Ah, yes… the Sydney Hobart race. 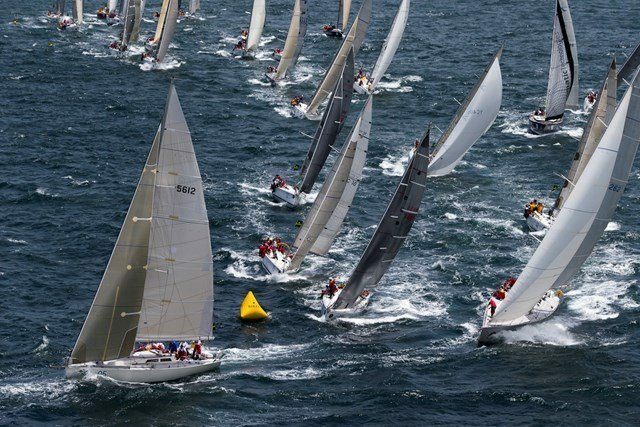 Also known locally as the Bluewater Classic, the race is from Sydney, Australia to Hobart, Tasmania, running smack dab into the middle of the Roaring Forties, those southern latitudes infamous for nasty weather and high winds. The race is famously held on Boxing Day, the day after Christmas. Summertime in the southern hemisphere. But somebody forgot to tell the weatherman. In 1998, the race was held in conditions approaching those of a Category 1 hurricane. Five boats sank. Six people died. Only 44 of the 115 starters made it to Hobart. This ain’t your local Hobie 16 regatta down at the yacht club. This year’s race will be held tomorrow, with the fastest again going for the “holy grail” – completing the race in under 40 hours – which has never been done. At last count, 94 boats were entered, including defending champion Wild Oats XI. Shifting weather conditions don’t seem to favor a race record this year, but who knows?